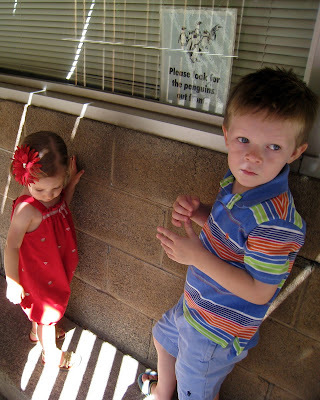 In September, Granny O and Mommy took me and my cousins Annissa and Seth to Hogle Zoo. 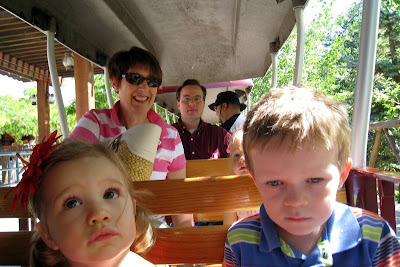 First, we went to see the elephants. Seth was very interested in seeing how much he weighed compared to an elephant. It turned out that he weighed much less than even a baby elephant. 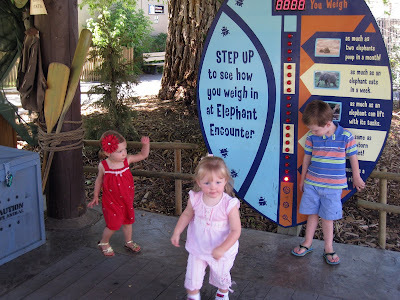 While Seth was busy weighing himself, Annissa and I did the baby elephant dance. Next we went in search of the penguins. 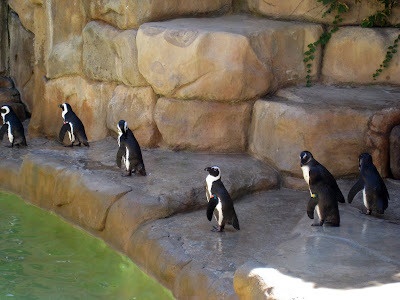 However, when we got to the penguins' house, they were nowhere to be found. We were very sad. 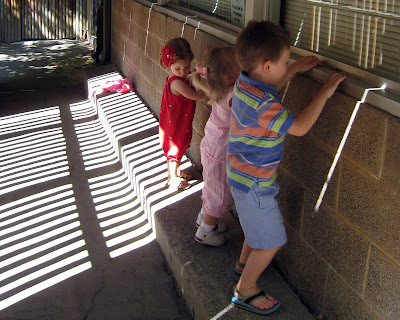 We all looked through the window to see if we could spy the penguins inside their house, but it was to no avail. Annissa and I decided it was time to try looking elsewhere, however Seth was convinced that the penguins had to be somewhere inside. Finally, Granny O and Mommy helped us find where the penguins were hiding. The penguins had gone out front for their morning swim. 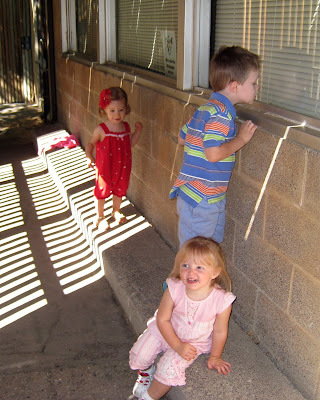 They were so much fun to watch. 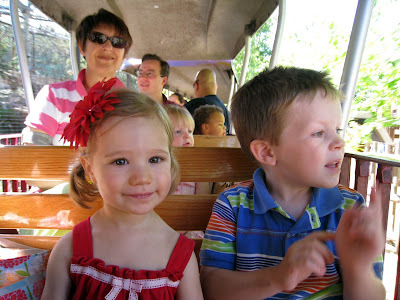 Lastly, we went on a train ride through the zoo. At first, I was not paying much attention because I was too busy daydreaming about the penguins. I was thinking about how Nala and Lily Mae would just love to have a pet penguin to play with. Then I had a great idea—I could ask for a penguin for Christmas! I can't wait until Christmas to get my penguin. I know this has nothing to do with the post, but what a cute outfit Ava has on! I love her hair piece too!